Here we are with the March Newsletter! With this months’ newsletter: we go over a couple of different things. 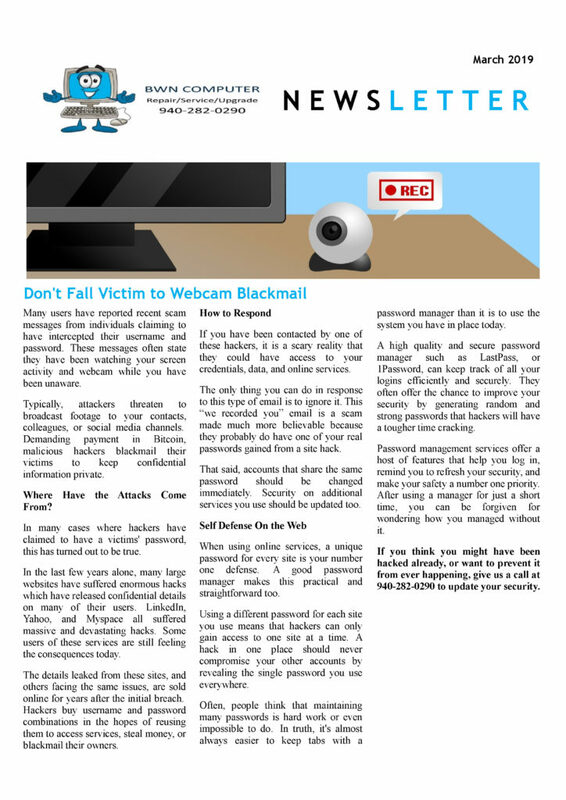 On the first page…we go over the latest webcam blackmail scam going around. We also go over what you can do to be more secure with your accounts online. And…on the second page…we advise on the different things to look out for with your computer that one can make a note of. This will help us better diagnose your computer…AND…can keep your costs down for repairs. 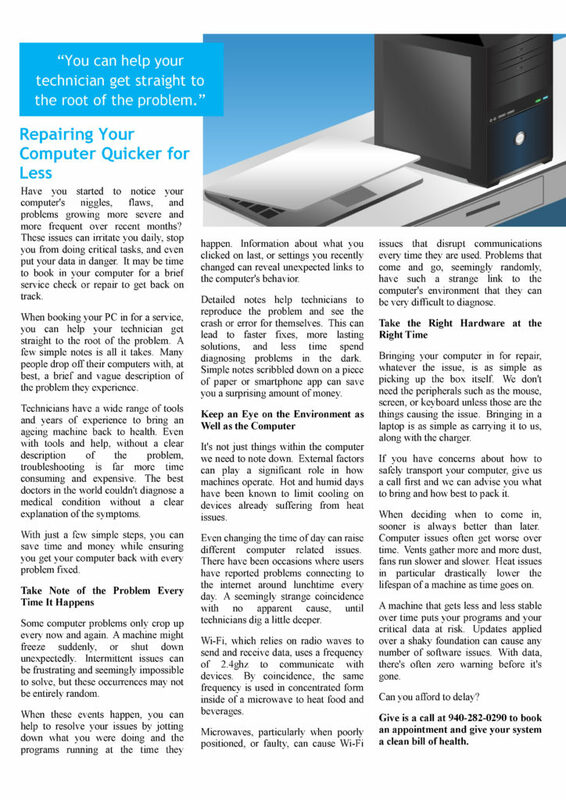 If you have any questions about items in this newsletter (or any other computer-related issues), please…Contact Us…and we’ll get them answered. Have a Blessed Day…and…Happy Computing!